However, these sought-after effects can come with a series of unpleasant or even dangerous side effects that may leave a lasting impact on the user. Do You Have a Problem With Ecstasy? Who Answers? to find a recovery program near you. A treatment support specialist can help you locate a center based on your insurance. MDMA exerts its effects by stimulating the central nervous system, resulting in increased levels of the brain chemicals serotonin, dopamine, and norepinephrine.2 These chemicals are related to mood, energy levels, heart rate, blood pressure, and sexual arousal. Any additives or adulterant substances. Use with other drugs such as alcohol. MDMA’s desired euphoric effects don’t come without risk, however. Side effects of use can be unpleasant and even life-threatening. Ecstasy side effects may be even more dangerous depending on the additives used in the pill. Who Answers? to get information about treatment programs. Re-dosing is another issue that some MDMA users face. When a person takes MDMA, the drug can interfere with the body’s ability to metabolize it, resulting in a high blood concentration level.5 Re-dosing can drastically increase the amount of MDMA in the bloodstream, leading to enhanced dangers of use. Long-term effects may include depression, anxiety, and sleep problems. 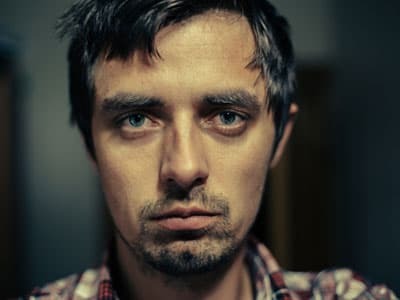 Over long-term use, heavy MDMA users may suffer very damage to the serotonin system.3 Users who abuse or struggle with an addiction to MDMA or Ecstasy are more likely to suffer the more serious effects of extended use. If you are concerned that you or a loved one is struggling with MDMA abuse and may be at risk of negative consequences, don’t wait to seek help. Call 1-888-319-2606 Who Answers? to speak with a recovery program advisor and get help finding a program that fits your needs.
. Drug Enforcement Administration. 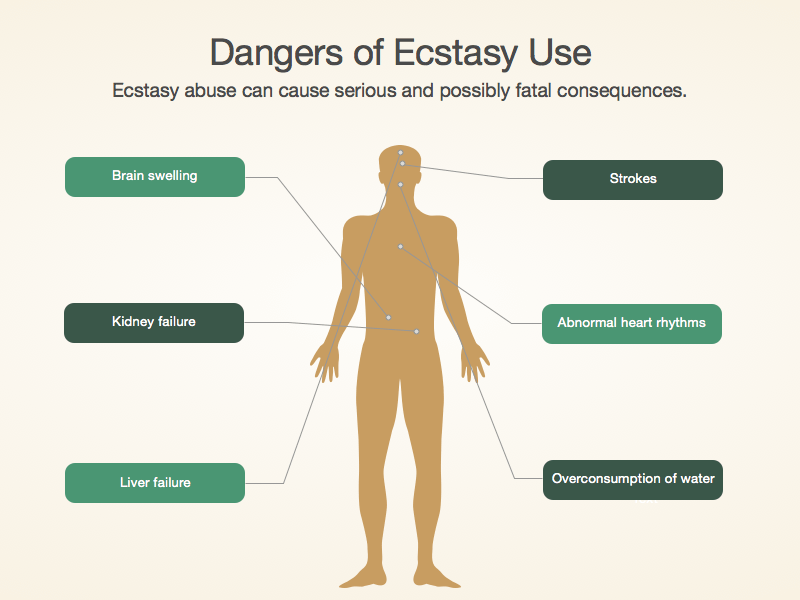 Drug fact sheet: Ecstasy or MDMA.
. National Institute on Drug Abuse. (2016). Drug facts: MDMA (Ecstasy/Molly).
. Parrott, A. C. (2001). Human psychopharmacology of Ecstasy (MDMA): a review of 15 years of empirical research. Human Psychopharmacology: Clinical and Experimental, 16. 557-577.
. Hall, A. P., Henry, J. A. (2006). Acute toxic effects of ‘Ecstasy’ (MDMA) and related compounds: overview of pathophysiology and clinical management. British Journal of Anaesthesia, 96(6). 678-685.
. National Institute on Drug Abuse. (2006). MDMA (Ecstasy) Abuse.
. Hanson, K. L. & Luciana, M. (2010). Neurocognitive impairments in MDMA and other drug users: MDMA alone may not be a cognitive risk factor. Journal of Clinical and Experimental Neuropsychology, 32(4). 337-349.
. U.S. National Library of Medicine. (2014). Serotonin Syndrome. Medline Plus.